Originally named Rollarena, this skating center was built by the Durda family in 1965. It was purchased and renamed Fun Spot in 1996 by the Ellerbroek family. The Wymer family (Jeff & Erika) has locally owned and operated this facility since 1998 and later renamed it to Jumpin’ Jupiter Skate & Fun Center. 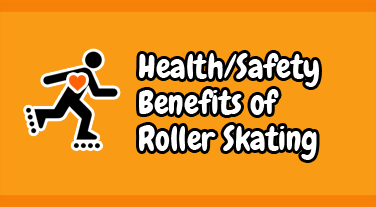 The sport of roller skating has evolved over the years. Our skating center has kept right up and evolved with the times. We are a highly energetic, 21st century family entertainment center that features interactive entertainment on roller skates! A professional dj stimulates our guests through interactive games and activities while on skates. Our rental skates are the most current, state of the art, fashionable skates. Our facility boasts cutting edge technology for it’s sound and lighting systems, along with live music videos that keeps everyone energized. We didn’t invent the wheel, we just made it more fun! We look forward to seeing you soon!